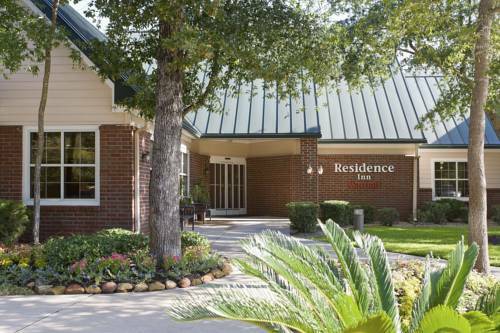 Find your ideal work-life balance at the Residence Inn Houston The Woodlands/Lake Front Circle. We want you to feel relaxed, inspired and energized during your extended hotel stay here in The Woodlands, TX. All of our modern and comfortable suites feature a fully-equipped kitchen and deluxe King or Queen beds; additional sofa beds add extra flexibility. Useful amenities like a complimentary daily breakfast will help you establish a routine, and weeknight Residence Inn Mix evening socials Monday-Wednesday allow you to get to know your fellow hotel guests. Maintain your productivity during your extended stay in Texas with free high-speed wireless Internet throughout the hotel, and stay energized with visits to our fitness center and Sport Court , or a swim in our indoor pool. And be sure to take some time to enjoy the local area - from shopping at Woodlands Mall to exploring the 160 miles of nearby nature trails. - Dosey Doe Coffee "Big Barn"
~32 miles from The Woodlands.